Photo courtesy of Joseph Sohm/Shutterstock. Political polarization has spread across the globe. The ensuing ideological purity might make each warring faction appear stronger, but in reality, hyperpolarization weakens parties by making them less appealing to a weary—and wary—electorate. To reverse this trend requires electoral innovation. I have studied such reforms for many years, and the time has come to change how we run elections to give voters more power and better choices. To understand how polarization harms parties, consider its most direct effects. As a party’s size and base shrink, so does the diversity of its membership. Consider the situation of the two major parties in the United States. Recent Gallup figures show that 43 percent of voters now identify as independent. Meanwhile, Pew surveys show that ideological entrenchment within each party is alienating moderate voters. In effect, the two parties are burning each other’s tents to the ground. Some critics would celebrate the demise of parties, but revitalizing modern politics requires rejuvenating parties, which remain the best means for organizing voters with common interests. The question is, how can we rebuild parties in a way that ensures better elections and a better government? Ironically, one potential solution to the party problem would be to combine two political reforms that are often championed as the surest ways to weaken parties: ranked choice voting and the top two election system. Ranked choice made the news cycle this summer when Maine voters used it for their primary election, while passing a ballot measure to make this system permanent. Ranked choice lets voters rank their preferred candidates in order. Election officials tally voters’ top picks and then, as needed, eliminate the last-place candidates one by one, reallocating their supporters’ votes to their next-preferred choices until a winner is determined. The other reform is a top two election—a popular version of what is often called an open primary. In this system, all the candidates for an office appear on the same primary ballot, regardless of party. The top two finishers advance to the general election. Advocates of these reforms often portray top two and ranked choice as ways to weaken political parties that they view as insular, ideological, and ineffective. In response, party leaders have fought ferociously against these reforms. Parties already holding power prefer closed primaries in which only those belonging to the party choose its candidates. This opposition has a clear logic. Ranked choice and top two give independent voters more voice and give all voters more choice. This makes it harder for party leaders to elect their favored candidates. As both reforms have been put into place, however, each has produced peculiar results to which we should pay close attention. The top two system can produce undemocratic results when the most popular political party fields many candidates and a minority party runs only two. This has happened in California, for example, when Democratic candidates in strong Democratic districts divided up the primary vote such that only two Republican candidates advanced to the general election. Subsequent turnout in the general election can plummet because majority party members, along with supporters of smaller parties, have no candidate on the ballot. Ranked choice can also cause problems, particularly when used in combination with an instant runoff. When the top candidate in this system doesn’t win a majority of first-place votes, a runoff process eliminates the lowest-ranked candidate and distributes his/her votes to whoever was listed in second place on their supporters’ ballots. This can produce worrisome results. In 2010, the winner of the Oakland mayoral race flipped in three of six successive tallies, as lower-ranked candidates were dropped. In fact, a 2015 Electoral Studies analysis showed that instant runoff winners routinely fail to win a majority of ballots. Critics have pointed to these difficulties as reasons for repealing ranked choice and top two. Moreover, critics argue, neither reform has proven a reliable means of empowering political moderates or encouraging political compromise. A more realistic approach recognizes that changing election rules always involves trial and error. Rather than rejecting these reforms outright, one can look for a way to build on their strengths and shore up their weaknesses. As it turns out, pairing top two with ranked choice might yield a powerful combination—one capable of moderating the excesses of the strongest political parties and broadening their bases of support. Last month, this idea received the endorsement of two prominent civic organizations. The Independent Voter Project, which backed top two, and FairVote, which advocates broader reforms, announced plans to merge these reforms in California. They envision a “Top Four” primary in which the four highest vote-winners compete in a ranked choice general election. Ranked choice could curb the defects of an open primary, especially one that selects only two winners. When voters must choose a single candidate, those with narrow support can sneak through to the runoff election over preferred opponents who split each other’s vote. Letting voters name second-, third- and fourth -choice candidates who have similar platforms will produce winners with broader support. Meanwhile, a top two—or better, a top four—open primary could curb the excesses of ranked choice with instant runoff. Instead of electing people in one sitting, voters would get two rounds of election. That would allow for further consideration of the top candidates, instead of letting the initial rankings of a small primary electorate determine the winner. The top four concept is particularly appealing. A FairVote analysis shows that top two systems exclude third party and independent candidates more than 90 percent of the time. In the vast majority of cases, the top two system simply advances one candidate from each major party. With four winners, major parties would almost always have a candidate advance—protecting them against lockouts—while minor party candidates would have a greater chance of advancing. This likelihood motivates voters in all parties to cast ballots—both in the primary and general election. Admittedly, these reforms make voting a bit more complicated, particularly if they’re combined. There’s no denying that it takes more mental effort to rank a few candidates than to pick just one. Dealing with such complexity requires bringing into the mix two more reforms: ballot simplification and voter education. To simplify the open primaries in this combined system, states and municipalities should leave off the ballot any contest that has four or fewer candidates. In such cases, all the candidates can advance automatically without cluttering voters’ ballots. In the second round, or general election, every ballot needs to show voters each candidate’s party affiliation, if any, even in open primaries. Party affiliation is a powerful signal for many voters and including it aids voters who may not know or recognize individual candidates. For the same reason, each registered political party should have the right to display on the ballot its endorsements, so long as the candidate accepts. This will result in some candidates having multiple party endorsements, but more information aids voter decision making. 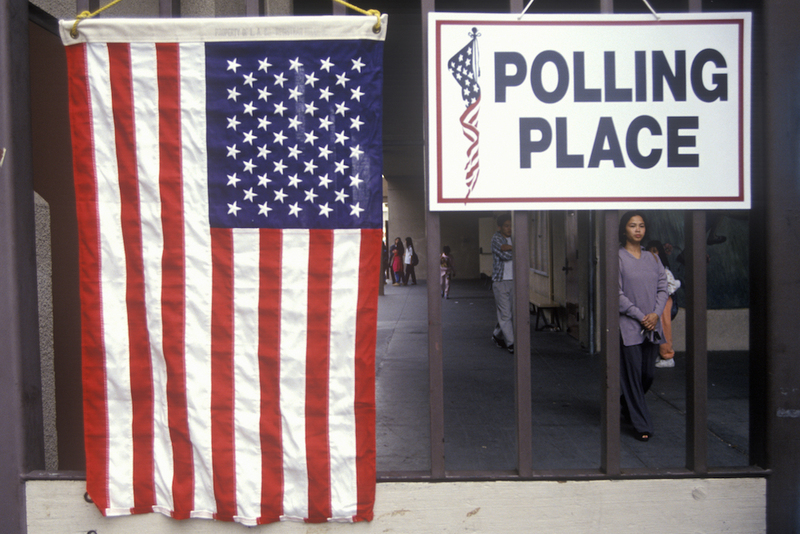 Simplifying life for voters helps, but a higher purpose is making elections more deliberative. The best elections are ones in which voters learn key pieces of information, weigh alternatives, and then make informed choices. Changing election rules always involves trial and error. Rather than rejecting these reforms outright, one can look for a way to build on their strengths and shore up their weaknesses. To help busy voters make informed choices, election officials should experiment with new forms of public education. In doing so, however, they face a dilemma. University of Arkansas communication scholar Robert Richards has found that conscientious election officials often struggle to tell voters what they need to know because they fear looking partisan. Emerging online tools can help address the information deficit. Around the globe, tools such as Vote Compass ask voters to complete surveys, then show which parties (or candidates) best align with voters’ values. Social networking sites, in spite of their hazards, can also help voters get advice from like-minded friends who have taken the time to sort through crowded fields of candidates. I have long argued that such a citizen-based system could be used not only for ballot measures but for candidates as well. Randomly selected citizen panels could sift through materials provided by candidates to distill the most essential information to place in a voter pamphlet. The panel could ensure the fairness of its process by having equal parts Democrats, Republicans, and others. Final approval of each contest’s candidate summaries would require supermajority support within each of these subgroups. Putting these reforms together, such a system could result in better candidate pools—but also better long-term results for the major parties. This system ensures that the parties have ample opportunity to remind voters of candidates’ party affiliations and endorsements. Thus, winning the final tally in a ranked choice top four election will usually require belonging to one of the two major political parties. But, at the same time, successful candidates will need to court independents, or even moderates from the opposing party. Reaching across party lines wins a candidate what might prove to be decisive second-choice or third-choice preference rankings. These countervailing forces permit the major parties to win elections and widen their bases, but only by recruiting and electing more moderate and capable candidates. Parties with broader bases of support are stronger. With insufficient data at hand, these concepts remain nothing more than a hypothesis. But uncertainty is not an argument for inaction. If anything, it should inspire experimentation with different reforms—and packages of reforms—to give voters more choices and more information, while making sure winning parties are powerful enough to govern and diverse enough to remain broadly representative. Ultimately, the goal is for political parties to seek better candidates who enter and win elections, then wear their party badges proudly while enacting good legislation or administrating effectively. In the end, this requires not just one election reform, but many. John Gastil is a Pennsylvania State University professor in the departments of Communication Arts & Sciences and Political Science, as well as a Senior Scholar in the McCourtney Institute for Democracy at Penn State University. His books include By Popular Demand: Revitalizing Representative Democracy Through Deliberative Elections.